With enriched industrial acquaintance, we are providing a varied series of Dots Shape Designer Tiles. Owing to their top performance and heat resistance, these are enormously demanded. 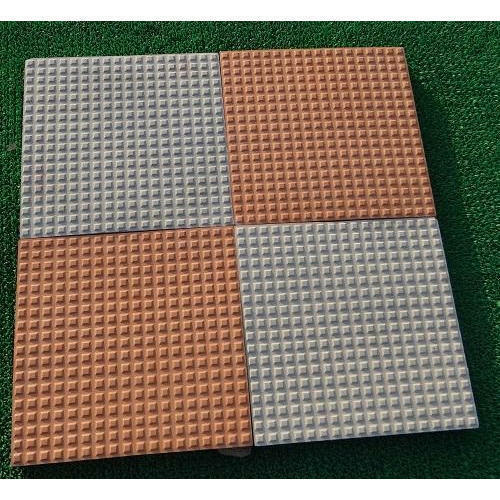 Established in the year 2007,Acme CC Products is the leading Manufacturer, Wholesaler, Trader of Interlocking Pavers, Kerb Stone, Designer Tiles, Grass Paver, Cement Channel and many more. We have achieved expertise in catering to the requirements of our clients exactly as per their specifications. We emphasize on stringent quality standards in order to ensure that the products provided to our clients is always optimum to its level.